Charity volunteers, public figures and Olympic and Paralympic medallists are among those in Warwickshire to be recognised in the New Year Honours. 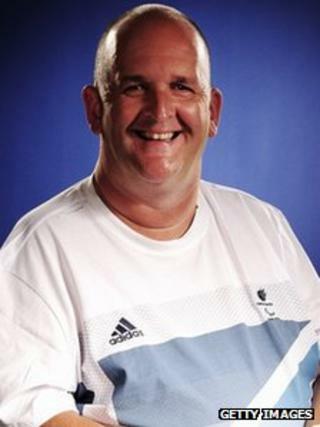 James Roe, part of the mixed coxed team who won gold at the Paralympics, has been appointed MBE along with Paralympic boccia player Nigel Murray. Equestrian Mary King, who this year represented Britain in her sixth Olympics, was also appointed MBE. She won a silver medal as part of Team GB's equestrian eventing team. Bedworth-based Sheila Carey has also been appointed MBE for her services to disability athletics. Ms Carey, who was an Olympic Games finalist herself twice in the 1960s and 1970s in the 800m and 1,500m, now works with disabled athletes in Coventry and the surrounding area. As well as running the U2 Track and Field club, she also helps to organise and run competitions for British blind sport and travels all over the world to competitions. Meanwhile, Judith Biggs, who works as a station host at Warwick Parkway railway station has been awarded a British Empire Medal. Mrs Biggs, who has been in the post for 11 years, looks after passengers each morning as they park their cars, buy tickets and board trains. Another recipient of the medal, Lino Pires, 79, has run the Butcher's Arms Restaurant in Priors Hardwick, near Southam, for more than 38 years. He was nominated for the honour for transforming a run-down village inn into a focal point for the community and also raising more than £350,000 through events for national charities such as the NSPCC, the Motor Neurone Disease Association and for a cancer research programme at the Royal Marsden Hospital. Martin Dunne, Lord Lieutenant of Warwickshire. David Bucknall, chair of the board at Royal Institution of Chartered Surveyors, Global Construction and Quantity Surveying, for services to the construction industry. Rosamund Comins, founder and trustee at Voice Care Network UK, for services to education. Ian Francis for voluntary service to law and order and to the Church of England in Warwickshire. Adrian Anthony Lester, actor, for services to drama. Rodney Melville, formerly secretary at the Chequers Trust, for services to architecture. Tracey April Pickin, assistant director at Public Bodies Group, HM Revenue and Customs, London, for services to tax compliance. Patricia Scriven, senior manager at NOMS Headquarters, for services to HM Prison Service. Denys Shortt, founder of DCS Europe plc and lately chair at Coventry and Warwickshire Local Enterprise Partnership, for services to the economy in the West Midlands. Prof Richard David Wilding, professor and chair in supply chain strategy, Cranfield School of Management, for services to business. Beryl Daisy Lillie Emery for charitable services in Rugby, Warwickshire. Frederek Sylvester Mayman for voluntary service to railway heritage in the West Midlands and Wales. Richard Frank Sharrott for charitable services in Nuneaton, Warwickshire.